Russian President Vladimir Putin, in the run-up to the Russian presidential election in march, called for a ‘revival’ of Islamic education in Russia, where 30% of the population is Muslim. “Up to 20 million Muslims make up Russia’s second-largest religious minority. Thousands of young radicalized Russians have travelled to Iraq and Syria to join jihadist fighters in recent years, making the country the largest source of foreign fighters in the war-torn region,” wrote The Moscow Times. Russia’s president pledged “undoubted support” for a “revival of Islamic education in Russia,” reported Russian state news agency TASS. “Traditional Islam is an integral part of the Russian cultural code, and the Muslim Ummah [community], without any doubt, is a very important component of the multinational Russian people,” he said. 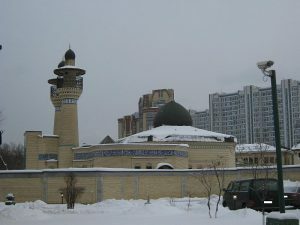 During his meeting at the newly inaugurated Islamic academy in Kazan, Putin emphasized the important role of Russia’s Muslim clergy in countering religious extremism. “These ideas, even destructive ideas, can only be fought with the help of other ideas,” wrote TASS.